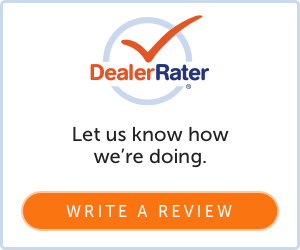 Read reviews from around the web for Napleton's River Oaks Honda below or write your own review. We appreciate your business and your feedback! Our staff is dedicated to your satisfaction and try to provide the most positive, friendly, and professional shopping environment possible. If you have any questions or concerns about your shopping experience, please give us a call. We will work to resolve any concerns ASAP. Thank you for shopping with us! Well you have great Honda sales Personnel like Jeffery Parham who know the Honda vehicles inside and out. He's always available when requested and will assist with any problems or concerns regarding your vehicle. Also, the delivery manager Larry Chambers who is very knowledgeable of the technical aspects of my Honda C R V.
Rashad (I believe that’s how you spell his name) was excellent! I never felt like I was at a dealership because he was so personable with us. Very knowledgeable about cars! Thank you! Everyone was great! Thanks too Moody and Michael as well! If you want someone to be patient with you but yet swift in getting you what you need Briana is the woman. She is absolutely amazing. The manager Ty was also really helpful and pleasant. I will be back! I’m so happy and satisfied that I found the car I wanted and that’s all thanks to Malinda. She is so kind and so very good at the job she does and I would like to Thank her for helping me and take a weight off of my shoulder. Thank you again Malinda. Go see Oliver! He will help you find what you are looking for new or used! Just got a new car, worked with Oliver Martin. Great guy, super nice and helpful. He made everything quick and painless. 10/10 would go again.